Our communication systems form the heart of our installations. They are designed as tailor-made complete solutions for stringent requirements in critical infrastructures. We offer a communication system that matches your specific application and the existing infrastructure. 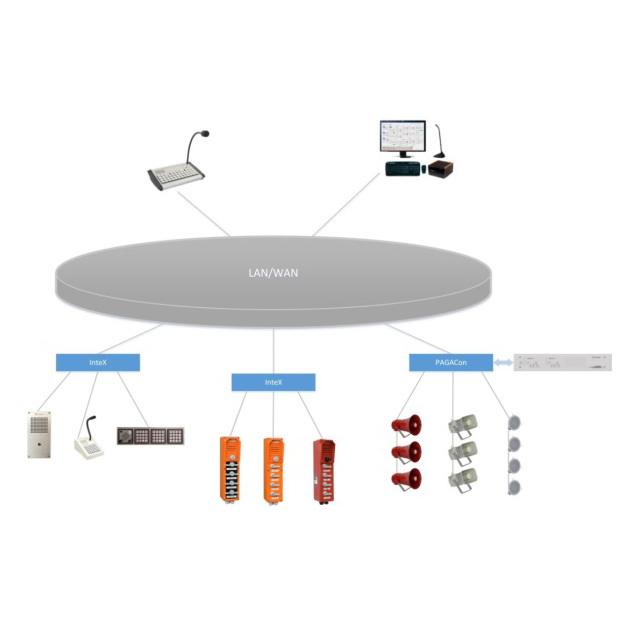 Whether centralised or decentralised – our systems take care of the connection and monitoring of the terminals and offer interfaces that are compatible with a broad range of external systems, such as telephone exchanges, fire alarms, etc. Providing holistic communication solutions, they serve as intercom, public address and general alarm (PAGA) systems in sectors such as the oil & gas, chemical and petrochemical industries, energy utilities and heavy industry as well as public sector applications such as rail and public transport. The DVS-21 intercom and public address system is, by virtue of its sturdy and robust construction as well as by its technical design, aimed specifically at the requirements of industry and the transportation sector. The system can be used wherever rapid, direct and reliable communication is required, even under the most challenging environmental conditions of noise, dirt, dust, heat, cold and the risk of an explosion. For a public address application with extensive coverage, it can either be operated autonomously or in conjunction with intercom systems. Consistently high quality audio with excellent intelligibility is assured in all environments, irrespective of whether the system is used for announcements in quiet office environments or a noisy industrial assembly line – as well as for emergency announcements to employees. The ProCom VoIP-Com system is an IP-based communication system that can satisfy the most demanding requirements in critical infrastructures. Reliable communication is absolutely essential in situations that require the highest levels of safety and which pose harsh environmental conditions. VoIP-Com provides intercom, public address and general alarm (PAGA) functions in a single system and can be networked via an existing standard Ethernet structure. The installation of additional transmission paths becomes to a large extent superfluous. 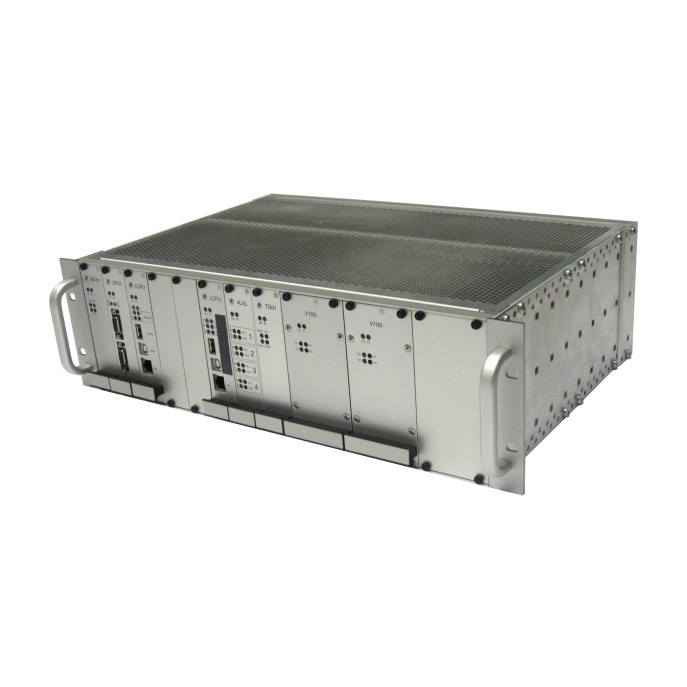 This state-of-the-art communication system has a modular design and is completely scalable. In the case of small to medium-sized systems, VoIP-Com does not require a central server, thus eliminating a single point of failure. Adapters enable a seamless integration of existing DVS-21 call stations and the migration of existing public address systems, which protects the investment in existing systems. Interfaces with PABXs, dispatcher systems, radio systems and fire and hazard alarm systems as well as actuators and sensors are also available. With a variable transmission bandwidth of 200 Hz up to 16 kHz, the ProCom VoIP-Com system offers very good sound quality, even in noisy and problematic environments. A high level of reliability is assured by the continuous monitoring of the entire system.